At PlayStation Experience, PLAYISM is going to have a playable demo for Medusa and Man. A man and Medusa are in love, however they must not look directly each other otherwise the man is petrified. 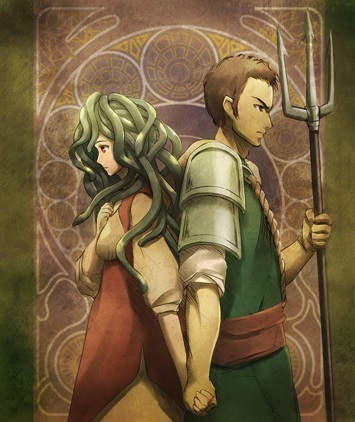 Control Medusa in first person in order to turn monsters to stone, while avoiding her gaze to her love. The game will have VR compatibility, but only for one player. Otherwise, the game is either single player with local co-op for two players only. The demo will feature the first stage. The demo will be on the show floor. PlayStation Experience is located in Anaheim Convention Center, Anaheim, California. The dates for the demo is December 9th, from 10:00 AM to 10:00 PM, as well as December 10th from 10:00 AM to 6:00 PM. The PLAYISM booth is at #100. The developer of the game is ship of ELYN / MiCROViSiON Inc. The website can be found here: PlayStation Experience Website.